Allergy support formula that contains two key ingredients known to relieve allergy symptoms: Quercetin + Nettles. 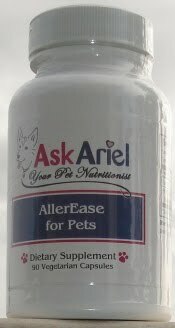 Helps reduce dog scratching, itching and overall allergic reaction to environmental allergies. The herbs together provide anti-histamine and anti-inflammatory support. Who Can Benefit From Special SAMe+?